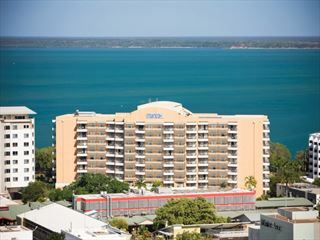 Doubletree by Hilton Esplanade Darwin, Australia. 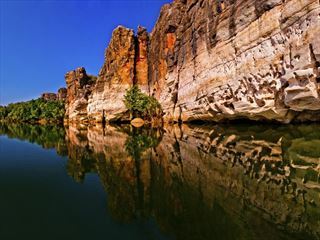 Book at Australian Sky. 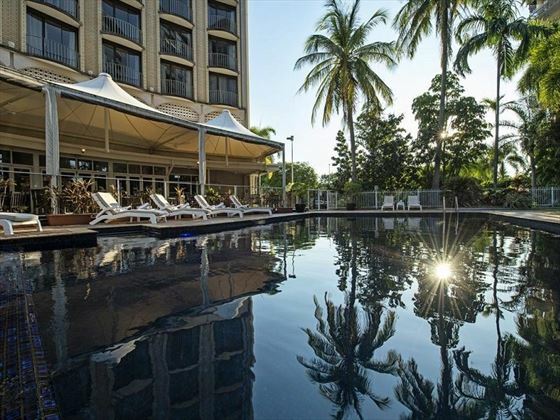 Overlooking the Darwin esplanade, the modern Double Tree by Hilton Hotel Darwin offers ultimate comfort close-by to the bustling city centre. 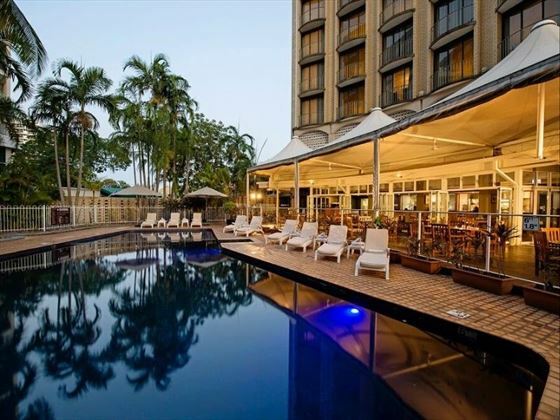 Offering contemporary décor, gorgeous views, and peaceful al fresco dining right by the outdoor pool, this hotel offers a lovely spot to relax in between exploring everything the city has to offer. 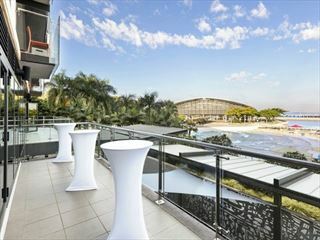 We love the rooms and suites on the upper floors, featuring jaw-dropping floor-to-ceiling windows with views of the harbour, whilst the Poolside Restaurant is surrounded by stunning exotic flora and offers a tasty children’s menu for younger guests. The freshly baked cookie you’re given on arrival accentuates just how friendly and welcoming this lovely hotel and its staff are, providing families and couples with a tranquil ambience and play to stay. NB: This hotel will temporarily close from 1 December 2017 to 8 April 2018 for renovations. 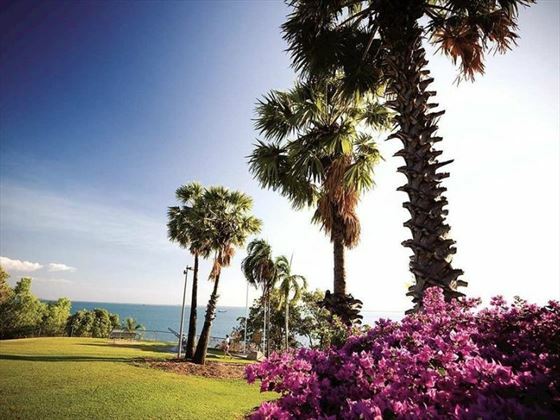 This lovely resort is nestled near the Darwin harbour, only a short distance from the hustle and bustle of the vibrant city centre, and with the ocean right by its doorstep. For great shopping, wander along the esplanade to Smith Street Mall for plenty of clothes and gift shops, or saunter along the harbour in search of delicious restaurants. For a scenic walk, Bicentennial Park will grace you with luscious greenery only 15 minutes away from the hotel. 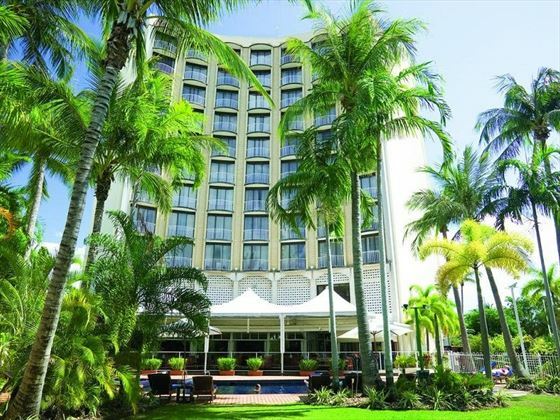 With such a central location, the ambience of the hotel is lively and colourful. 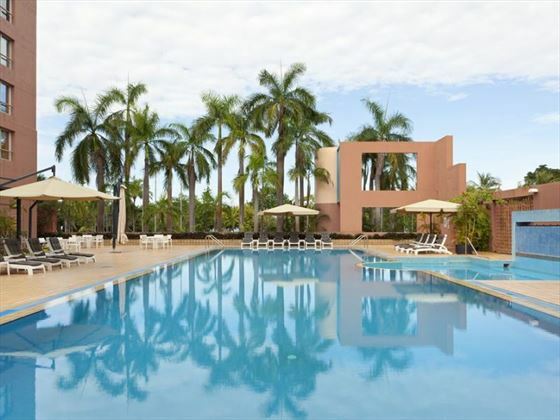 Double Double Guest Room – Comfortable 33sqm rooms with earth-tone décor, two double beds and pool views. Sleeps a maximum of three adults, or two adults and two children. 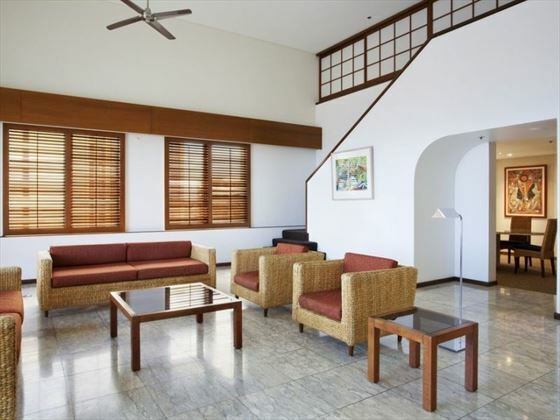 Double Double with Harbour View – With the same amenities as before, with gorgeous harbour views. 33sqm and sleeps a maximum of three adults, or two adults and two children. 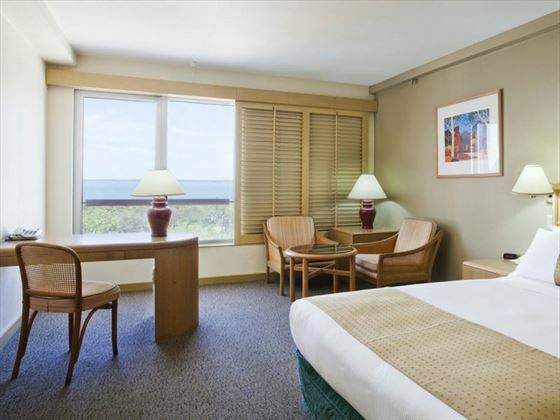 Double Double Deluxe with Harbour View – Similar to the guest rooms, located on the upper floors with views of the harbour, and floor to ceiling windows. 33sqm and sleeps a maximum of three adults, or two adults and two children. 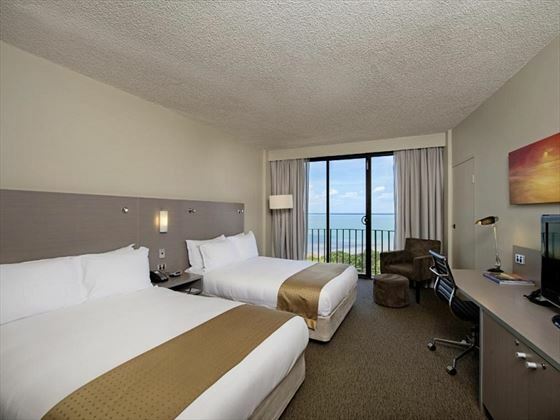 King Guest Room – Brilliant harbour or city views, featuring a king size bed. 33sqm and sleeps a maximum of three adults, or two adults and two children. 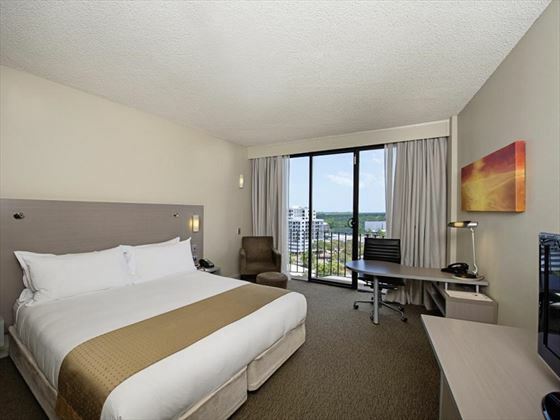 King Deluxe with Harbour View – With the same amenities as the king guest room, located on the upper levels with floor to ceiling windows and harbour views. 33sqm and sleeps a maximum of three adults, or two adults and two children. 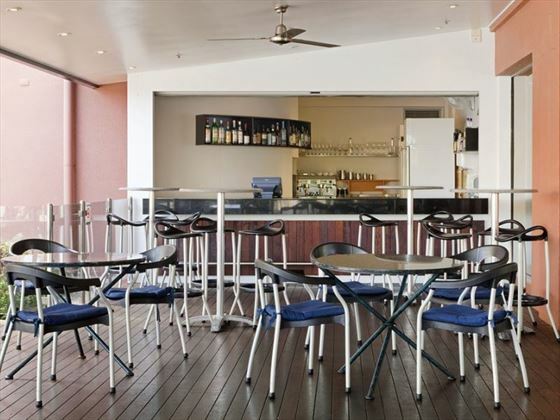 King Junior Suite with Harbour View – Freshly decorated suites with a separate living and dining area, a kitchenette, and beautiful views of the harbour. 66sqm and sleeps a maximum of three adults, or two adults and two children. King Junior Suite with Pool View – With the same amenities as before, with a view of the hotel’s outdoor pool. 66sqm and sleeps a maximum of three adults, or two adults and two children. 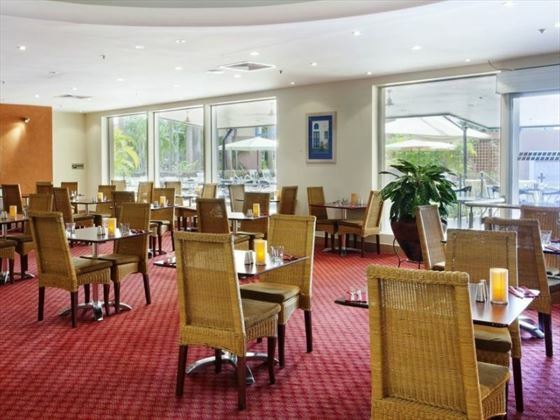 Poolside Restaurant – Overlooking the outdoor pool, this great al fresco restaurant is surrounded by the hotel’s tropical gardens and offers delicious Australian cuisine. Open from 3am – 12am from Monday to Friday, and open from 6am – 12am Saturday and Sunday. The Poolside Restaurant offers a children’s menu for those under 12. Free night offer Stay 2 nights and receive the 3rd night free. (maximum of 1 free night) Valid up to 12 Oct 19. Date restirctions apply.